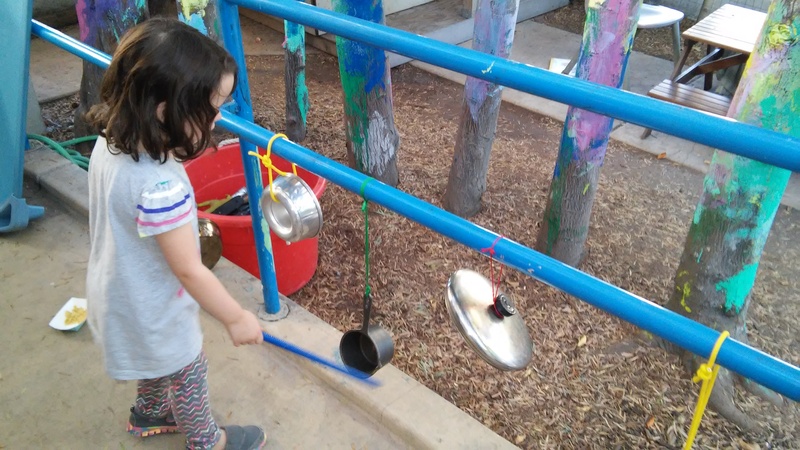 Two-, three-, and four-year-old children need an environment that includes a variety of sound sources, and opportunities for free improvised playing. An exploratory approach, using a wide range of appropriate materials, provides a rich base from which conceptual understanding can evolve in later years. A variety of individual musical experiences are important for children at this age. As a result of their experiences with music, young children should initiate both independent and collaborative play with musical materials, and they should demonstrate curiosity about music. 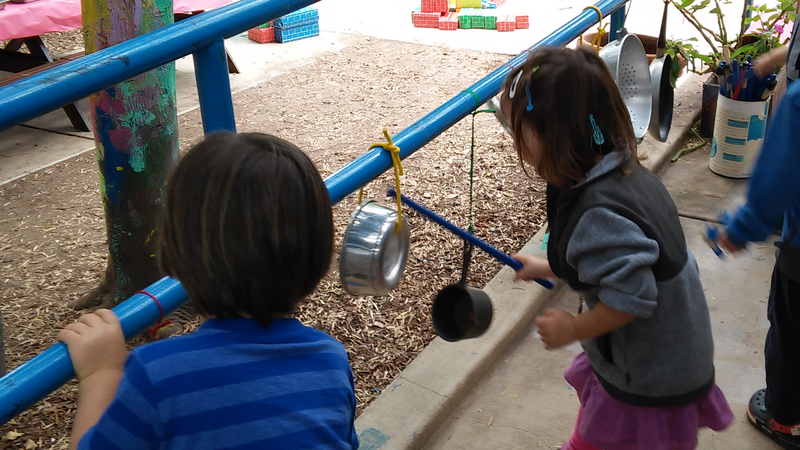 To continue our exploration of sound, we experimented with pots and pans. 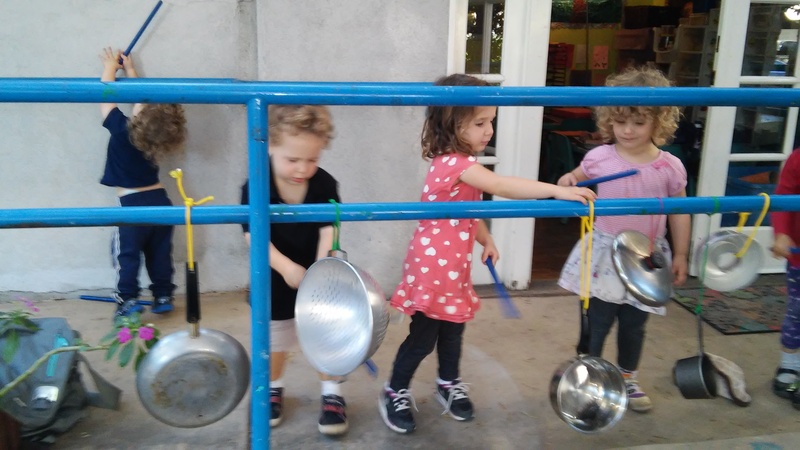 Using rhythm sticks and pans suspended from the bars outside, we practiced making noise! As they banged happily, your budding musicians learned that sound changes. In addition to this open-ended play, Miss Carrie initiated and call and response game. Using our listening ears, we listened to Miss Carrie play to rhythmic phrase on our new instruments. We then repeated this sequence! By doing so, students accessed a variety of developmental skills. By watching their teacher, they practiced reading visual and verbal cues. By creating their own sounds, they experimented with cause and effect. Lastly, by collaborating, they enjoyed the social benefits of performing as a group.